It's a Yes! What was previously deemed as Ireland's most divisive issue has suddenly become a movement that proved very unifying altogether. An astounding 3.3 million Irish citizens registered in time to cast their vote on the Eighth Amendment; and a record-breaking turnout has already suggested that Ireland has voted nearly 70 per cent in favor of Repeal. The run-up to 25 May 2018 will never be forgotten by campaigners on both sides, staunchly divided by their beliefs on what would be Ireland's most extreme change to abortion legislation. The resoundingly pro-choice vote was nearly unanimous with voters aged 18-24 (the so-called 'youth-quake' that caused the landslide shift in attitudes) and those based in Dublin. Despite beliefs that residents of rural areas and the over-65 category would veer towards a No vote, initial exit polls prove that this issue has been more unifying than any other referendum. Indeed, the gender gap seemed to band together - with 65 per cent of men voting in favour of repeal alongside 75 per cent of their female counterparts. Stunreal @itscarlyalexandra First we had to fight to even be allowed to vote. Now we vote for our bodies. Ireland was the first country to legalise gay marriage by referendum, the first to enact a smoking ban and the pioneer in introducing plastic bag charges. Despite everything that the nation has had to endure, Irish people maintain a progressive, inclusive attitude that contributes to an increasingly influential country. Of course, change doesn't happen in a vacuum. Ireland waited 35 years for this day to come, but the last 24 hours have seemed the longest of all. In 1983, many of the same people campaigning prominently today relentlessly opposed the introduction of the same amendment. In the years that ensued, they listened to the stories of some 170,000 women forced to travel overseas in silence to obtain procedures, they witnessed the tragic death of Savita Halappanavar, read about the harrowing X case in 1992, and fought tirelessly to introduce free, safe, legal abortion. Here are just some of the women whose relentless activism must be commemorated today and everyday. Feminist, LGBTQ activist, and academic Ailbhe Smyth has been at the forefront of major Irish issues since the 1970s. The founding director and former head of Women's Studies in UCD was equally as vocal in the pursuit to Repeal the Eighth in recent times as she was opposing the introduction of the amendment in 1983. Her efforts know no limits, and thus many people are calling her out specifically on social media today. If my superpower was being able to experience someone else's life, tomorrow I'd be @ailbhes. After so many years fighting for women, thru victories, setbacks, and defeats, and then pull this off... Tomorrow is going to be an AMAZING day to be Ailbhe Smith. Comedian, playwright, and performer Tara Flynn became something of a face for the Yes campaign thanks to her debut play, Not a Funny Word. The screwball comedy inadvertently told the story of her own abortion told though songs with fitting titles that resonated with the entire population: 'The State of Shame', 'Burn Her, She's a Witch' and 'Ride for Ireland'. Renowned columnist and editor Roisin Ingle opened up about her own abortion in a viral 2015 article. The brave and poignant piece was widely lauded for helping to dispel the shame associated with having had a procedure in the face of a crisis pregnancy. "My Experience is not something strange or unique or uncommon. It is something many other women in Ireland and around the world can relate to: I had an abortion. I am glad I did," she wrote. Alongside Ingle, vocal columnist Una Mullaly ensured that abortion conversation stayed at the forefront of Irish media. Her recent pieces for The Guardian and The Irish Times called out the conservative reporting of outlets and broadcasters, that fostered major doubt for the Yes campaign, and ultimately led to a population who completely underestimated support for Repeal. Do you remember a time before simple black jumpers brandishing six white letters? Anna Cosgrave can be credited for literally outfitting pro-repeal campaigners since the inception of her instantly recognisable "outerwear to give a voice to a hidden problem". With all proceeds from the Repeal Project going directly to official campaign initiatives Together For Yes and Free Safe Legal - Cosgrave managed to create the unofficial uniform of the movement. Alongside the aforementioned Ailbhe Smyth, these co-directors elevated the national Together for Yes civil society campaign to a movement that united every community, town, and village in Ireland through its compassionate, considered, and contemporary messaging. Keeping the referendum real - entrepreneur Andrea Horan (of cult favourite nail art salon Tropical Popical) produces The Hunreal Issues, a platform that delivered no-nonsense messaging and updates throughout the campaign. Through the non-for-profit initiative, Horan collaborated with Ireland's leading creatives on some of the campaign's most iconic imagery. 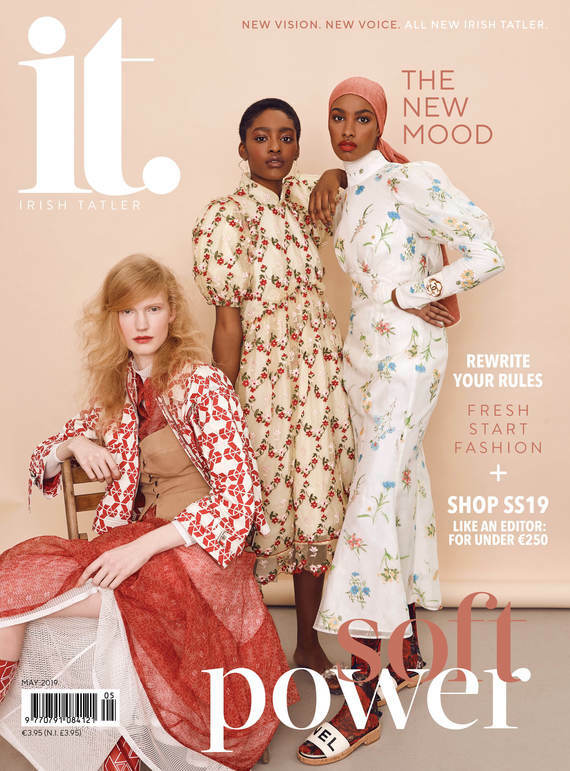 She also launched Repealing Fashion which brought together 12 Irish designers in a bid to give the term "fashion statement" a whole new impactful meaning.